Would you rather rent than buy? As residential rental rates in Dubai continue to slide, registering a 12 per cent and 10 per cent year-on-year decline for apartments and villas respectively, according to Asteco second quarter reports, tenants are breathing easier in the emirate while prospective investors are rallying with an 11 per cent drop in sales values over the same period. Nick Grassick, managing director, PH Real Estate, reports an increase in enquiries, and buyers, due to lower sales values, while Katie Savage, director of boutique agency The Urban Nest, has seen a steady rental market over summer. “It’s been quieter than usual this year, with more people negotiating to stay in their current property, although new(er) communities also remain popular,” she says. A 15 per cent rise in rental enquiries is the figure mooted by Abdul Kadir Faizal, co-founder of digital real estate investment platform Smart Crowd, who believes the situation is very much “watch and see”, with added concerns regarding job uncertainty, a factor for many would-be investors. “Tenants are also being enticed by deals that offer a way to circumnavigate the high 25 per cent loan-to-value rate. The zero commission and zero DLD fees reduce additional costs by 6 per cent, and developers are often only looking for 5-10 per cent down-payment with up to 90 per cent on completion. Cassia, The Fields is a good example,” adds Savage. The Allsopp CEO notes a mix of investors and end users, as well as a “significant rise” in buyers stepping on to the property ladder or upsizing and buying family homes. “One of the most important factors to remember is that property markets are cyclical and that prices will rise again, so as long as you’re not looking to make a quick profit there is a strong likelihood that you will have made a good investment,” he adds. Due diligence is a no brainer and as well as the ins and outs of financing and fee structures. Expatriate residents also need to consider the tenability of their UAE existence from employment safety, cost of schooling and overall cost of living, and how that impacts mortgage payments. Smart Crowd’s Kadic puts negative market sentiment at the top of the wavering investor list “along with the 25 per cent deposit for finance purchase and the falling rental prices.” He says, “if banks can reduce the initial deposit in purchasing properties and developers can reduce or delay the handover of units, this could provide the impetus for people to invest.” he remarks. With two children now at college in Canada, Assad Eid rents an apartment in Mirdif, but has dipped his toes in the investment scene previously. “In 2007, I decided to invest in the Remraam development anticipating that prices could shoot up to three times the original investment, and put down 15 per cent on two off-plan units,” says Eid. “At this time there was also talk of lifetime residency for investors, which was a further incentive. Handover of the first unit was delayed from 2009 to 2013 due to developer issues, by which time the property had significantly dropped in value. 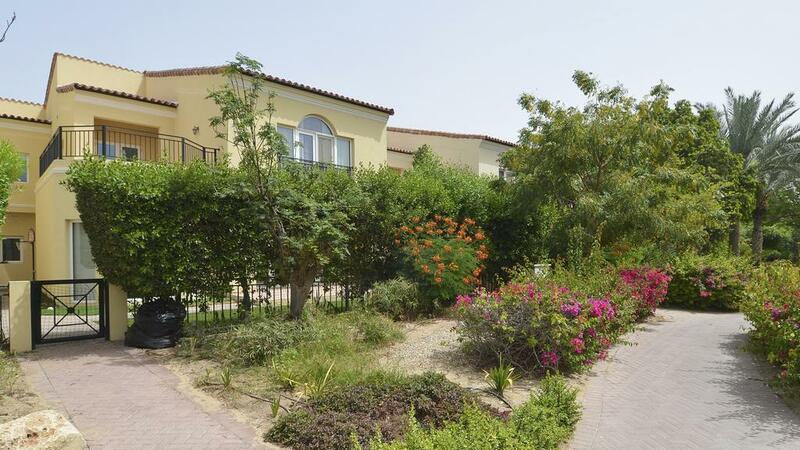 I rented it out but was still losing several thousand dirhams each month. I sold the unit two years ago for Dh104,000 less than the price I paid for. Marianna Rheuben and her family invested in two Dubai Marina apartments in 2012 and 2014 but rent an Umm Suqeim Road villa to accommodate a growing family. The bank offers and fees are much higher these days and rent is much cheaper, so our return on investment has dropped considerably.